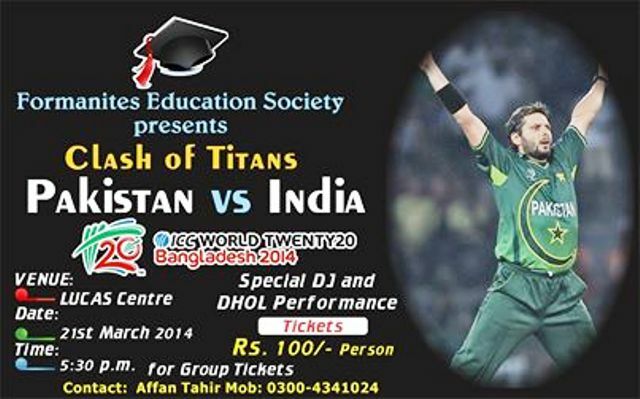 The Formanites Education Society presents a screening of the ICC World Twenty20 match between Pakistan and India. Tickets are available from Monday in room A-05. We have limited seats and students will be entertained on a first-come-first-serve basis.